Julia Abigail (Macklem) Denison died in December 1943. She left her portion of Beachgrove Island to her three youngest children, Dora Louise (Denison) Wright, Gordon Cyril Denison and Egerton Boyer Denison. 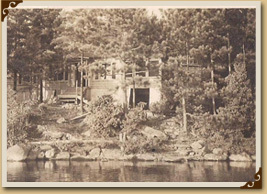 Gordon bought out his siblings, which allowed Egerton to purchase land and build his cottage on Rankin Island. 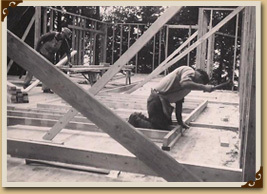 In 1946 (Uncle) Gordon began construction on his new cottage, which was referred to as "The Point". 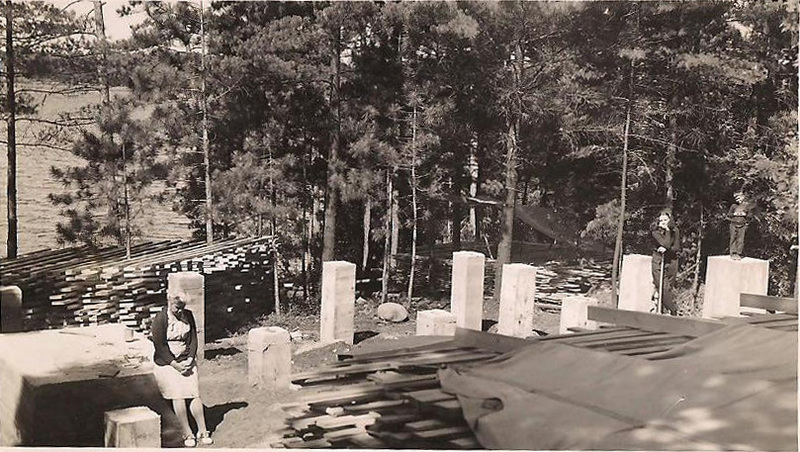 Gordon, his sister Dora and her daughter Julia Charlotte Wright moved into the almost completed structure in the summer of 1947, while Uncle Gordon continued to work on the interior of the house. The Point was a work in progress, as Gordon slowly added the front dock, wet boathouse and a decade later the dry boathouse. 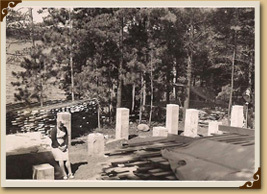 Even though Gordon was 61 years of age when he started the work he was in excellent physical shape, creating numerous paths, walkways, and building extensive stone walls, and steps, around the cottage. One of his most ambitious projects was a piazza for his sister Dora, planting a cedar hedge around the area to block the cold northwest winds. 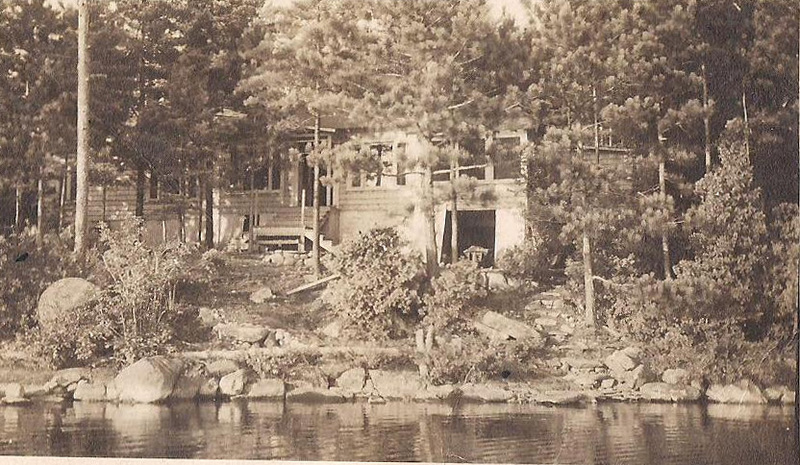 This area remains today, as do the cedars, which still help to shelter the deck on the front of the cottage. Uncle Gordon was a very generous, surrogate Grandfather to all of Dora’s grandchildren. He always allowed the children access to his boats and he encouraged us to learn to rig and sail the Albacore, or Sunfish, standing watch over us as we attempted to prepare the sailboats for a fun afternoon of sailing. We paid him in kind by running up from "The Bay", after a rain storm, to bail his boats or lend our eyes to him as he tried to navigate his way by launch, to Campbell’s Landing, long after he would have been considered legally blind. This we were rewarded for, at the end of the summer, with an unimaginable amount of money ($20.00), in which we spent at the CNE. As gruff as Uncle Gordon appeared to be, underneath that exterior was a generous and often sweet man. Upon Uncle Gordon's death in 1977, he left The Point to his nephew Gordon Denison Wright, youngest son of Dora. Gordon, the younger, spent the first thirty-one years of his married life sharing "The Bay"with his older brother Charles Edmond. Gordon, his wife Elizabeth (Libby), and family moved into thecottage in 1977. Gordon and eventually his extended family spent fifteen years enjoying Uncle Gordon's creation. 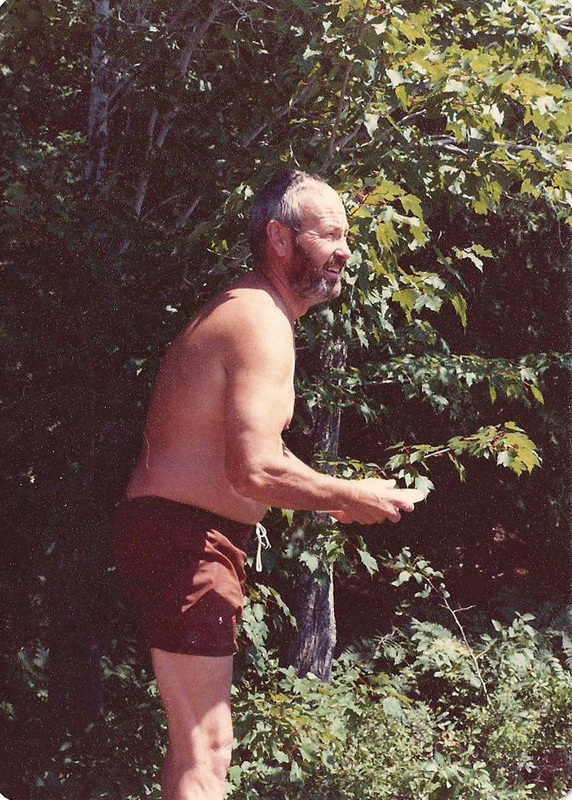 Like his uncle, Gordon Wright enjoyed being outdoors and spent much of his time improving paths, cutting down and splitting wood for the comfort of his family. 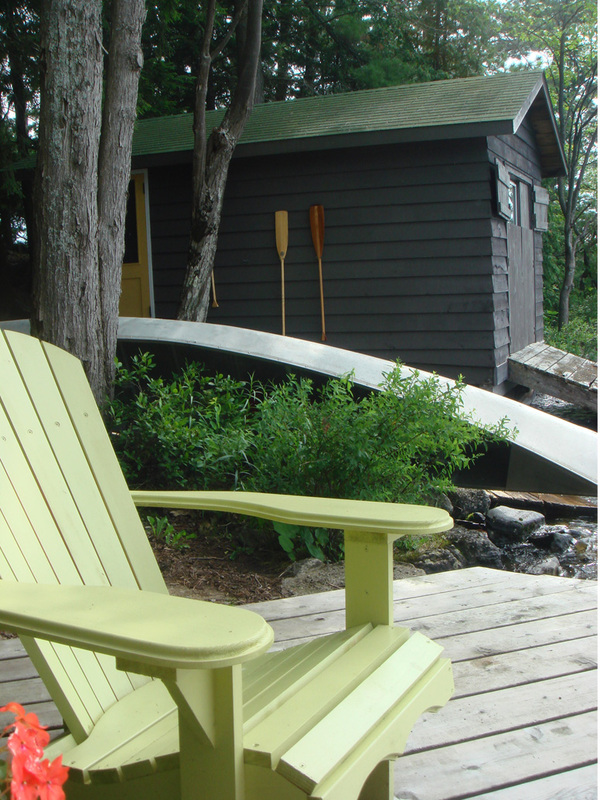 The Wright's maintained the cottage, adding a new deck, where there was once a small landing. They redid all the docks as they deteriorated over time from wind, ice and just plain old age. 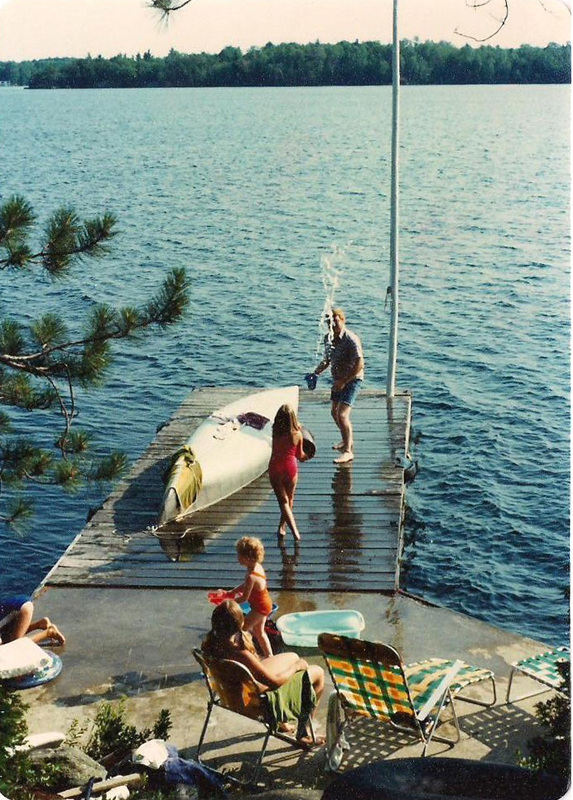 We all have fond memories of "rock to dock", an energetic game of frisbee, water balloon fights that escalated into soaking matches using anything you could find that would hold water. He taught his girls to clean and filet a fish, to pick the juiciest worms from under boards, how to graciously admit defeat after being skunked at cribbage, destroyed at bridge, euchre or any other card game, how to paddle like men, how to ride the gunnels of a canoe, how to dip the flag to show respect to the Segwun, but especially how to laugh. Gordon left to his wife, Elizabeth Gwendolyn (McElmon) Wright, the cottage upon his death in 1993. Today "The Point" remains in her name, however, her daughters Nancy Elizabeth (Wright) Milano, and Carole Charlotte (Wright) Swetman are now sharing the cottage with their families. Libby has moved into her youngest daughter, Susan’s, newly erected cottage on "South Bay" point on Beachgrove Island. The cottage has been tweaked to accommodate a growing family, since the day of Gordon Denison. 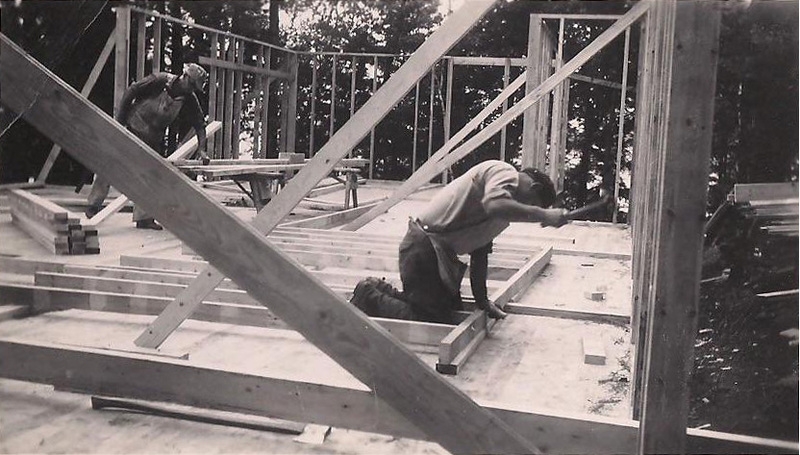 Walls have been removed, the kitchen has been expanded, a sliding glass door has brought in more light and easier access to outdoor spaces and the dryboat house has been converted into a bunkie. The deck has also been more than doubled, all testament to a changing lifestyle. But essentially "The Point" remains the same, a place for family and friends to enjoy each other and the delights of summer.